Was reminded of this image in the current issue of The Planetary Report. 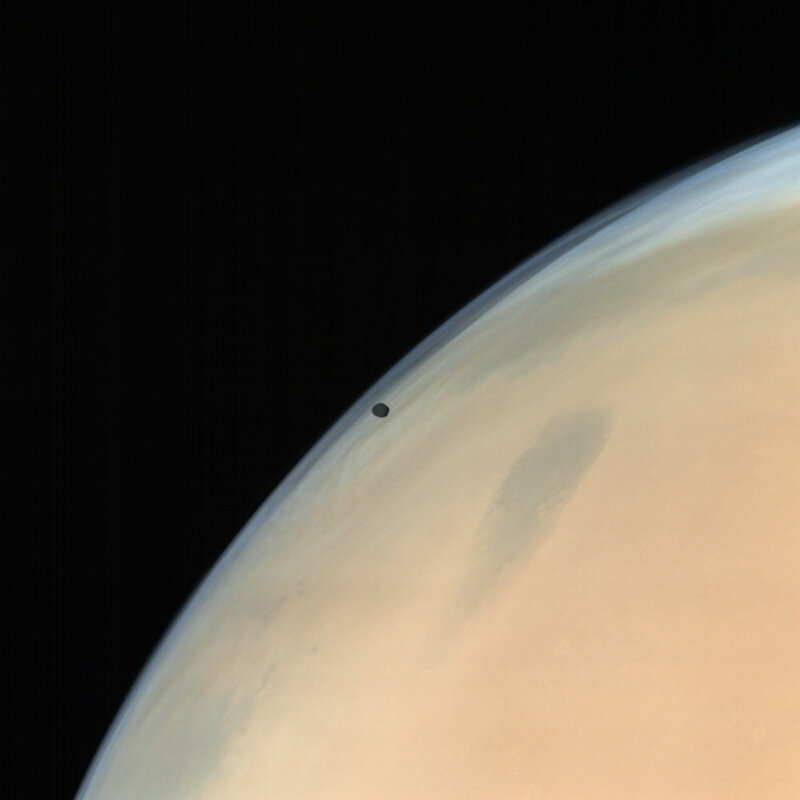 It was taken by Mars Express in 2007 and is featured in a current article about the excellent Russian Phobos-Grunt mission planned for 2009. This mission marks a return to planetary exploration for the Russian space program and does so in a big way. The plan is to land on the Martian moon Phobos – take samples of its surface and return them back to Earth. Sample return missions are technically very difficult and in all of history the number of attempts numbers in the single digits. Found these images of the Martian moon being tossed about like loose change on unmannedspaceflight.com last week. Don’t think I have ever seen any of these. They are from the ESA Mars Express mission currently in orbit around Mars.